Stacy Weller Ranieri is the founder, president and Chief Illuminator of The Firefly Group, a full-service public relations and marketing firm headquartered in Florida. Born and raised in New York and a resident of Florida since 1994, Stacy has nearly 30 years of experience in public relations, marketing, brand building and messaging, community outreach and grassroots advocacy building, and strategic planning. During her early career in New York, she held a variety of marketing and communications positions in the public, private, and nonprofit sectors including the National Audubon Society, the New York Landmarks Conservancy, the City of New York’s Economic Policy & Marketing Division, and MetLife’s Corporate Social Responsibility Division. After moving to Florida, she held positions in the government sector and served as Executive Director of two nonprofit organizations that focused on the natural environment and sustainability. The spark of the idea that became Firefly was ignited by the wise phrase “Choose a job you love, and you will never have to work a day in your life.” Stacy founded Firefly in 2003 as a way to harness her creativity and communications expertise for the benefit of her clients to help them tell their stories and achieve their own goals. Today, the Firefly Group, is the largest public relations and marketing firm of its kind on the Treasure Coast of Florida, and has a diverse client base including businesses of all sizes and industries, as well as government agencies and nonprofit organizations. The Firefly Group has been recognized with nearly 90 awards on the local and state levels from the Florida Public Relations Association (FPRA) and the Advertising Federation for its exemplary work on behalf of clients throughout Florida. 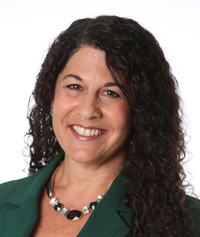 Stacy’s own accolades include Sustainable Florida’s 2010 Best Practices Leadership Award presented by Sustainable Florida/Collins Center, three separate FPRA Communicator of the Year Awards, and the Soroptimist International of Stuart’s 2009 Woman of Distinction Award. Firefly has also been recognized as a “Best Places to Work” in Martin County by HR Martin in 2011, 2012 and 2017. Stacy has a Bachelor of Science in Marketing and International Business from New York University’s Stern School of Business and a Master of Science in Environmental Resource Management from the Florida Institute of Technology. Stacy’s decades-long community involvement includes serving in a variety of leadership roles on nonprofit and business boards, government advisory committees including her current role as president of the Library Foundation of Martin County, Co-founder, Grants Committee Co-Chair, member of Impact 100 Martin, and member of the Board of Directors of the Palm City Chamber of Commerce. She has previously served as Chairman and Campaign Chair for the United Way of Martin County, was a Governor Appointed Member of Committee for a Sustainable Treasure Coast, member of the Martin County Public Art Advisory Board, member of the Stuart/Martin County Chamber of Commerce Board of Directors; Martin County Community Redevelopment Agency, Palm City Neighborhood Advisory Committee. Stacy is also an alumni of Leadership Martin County Class 10 and Leadership FLORIDA, Class 28. Stacy’s philanthropy and charitable support includes the donation of professional services to nonprofit organizations focused on lifting people out of poverty, hunger prevention, protecting and improving the natural environment, fighting domestic violence, and community revitalization.